We would like to congratulate a recent graduate of the New London program for enlisting in the US Army. 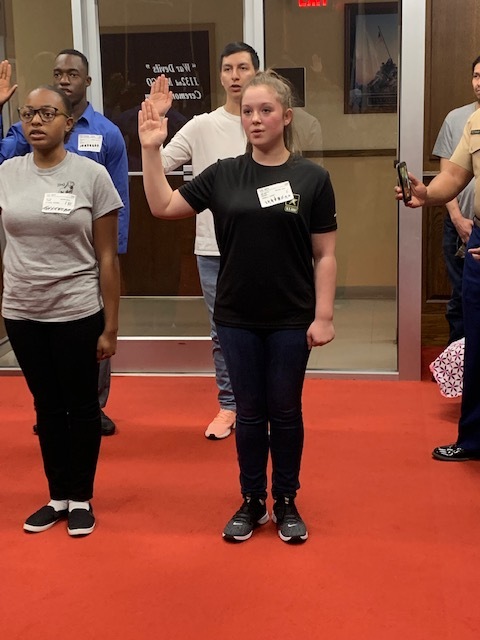 Cadet Henry, Team 1 Red Arrows graduated on Friday, March 15th, 2019 and took her oath to serve the country in the US Army on Friday, April 5th, 2019. Ms. Henry’s MOS or job category will be a 92G, Culinary Food Specialist. The Culinary Food Specialist is primarily responsible for the preparation and service of food in field or garrison food service operations. We are so proud of Cadet Henry and wish her well in her military career!